Cricket Dawn | India vs. Pakistan is back! India vs. Pakistan is back! Shahid Afridi, Pakistan’s dashing all-rounder may be correct when he says that the rivalry between India and Pakistan is perhaps even more superior than that between England and Australia, when they are contesting for the Ashes urn in particular. India and Pakistan may have been born from one India, but their rivalry has never reduced on a permanent basis since 1947. The political tension spilled onto sport, and hence how could cricket be left out? This sport is a religion in both the countries, even as it is ironical that their national sport is hockey. Hence, any India-Pakistan contest is cherished by not just the cricketers, but the people of both the countries who want to see their nation outplay the other as much as possible. In cricket, India and Pakistan’s rivalry dates back from the 80s in particular. This was the decade in which India were declared world champions, following their World Cup win in England. But more matches were held in Sharjah between these two teams, a venue which was neutral since this city in the United Arab Emirates equally has Indian as well as Pakistani population. Initially, it was India who won most of the matches against Pakistan but all this dramatically changed with one ball. Who can ever forget Javed Miandad hitting a six off the last ball of the match to cow corner off the bowling of Chetan Sharma? It was in April 1986 and Pakistan crushed the ego of the world champions, since it was the Australasia Cup final which they had won and not just a match. Since then, Pakistan used Sharjah extremely well to their benefit as India were psychologically drained after that match. It also co-incided with they being knocked out of the World Cup semi-final in 1987 in the Indian subcontinent by England, which was an upset since many backed India to defend the title. Both the teams played in Sharjah in ODIs while Tests were played more in either India or Pakistan. Even as the teams had legends in them such as Imran Khan, Javed Miandad and Wasim Akram for Pakistan and Kapil Dev, Sunil Gavaskar and Dilip Vengsarkar as examples, Pakistan always had the upper hand in the longest format of the game. In 1987 itself, Pakistan had beaten India in India which signalled the end of Sunil Gavaskar’s career. But two years later, India were to tour Pakistan for the first time in more than a decade, following the government finally approving the team touring the country which was not the case earlier because of security reasons. The tour produced what were to be two of the best cricketers ever seen from the Indian subcontinent – Waqar Younis of Pakistan and Sachin Tendulkar of India, both who made their debuts in the first Test of the series at Karachi. Waqar made Pakistan’s bowling attack reminiscent to that of the West Indies of the 70s – all conquering and mighty. He was the one who actually popularized the art of reverse swing amongst fast bowlers in Tests and ODIs, and used it to great effect against Indian batsmen in particular depending on the conditions. While of course the world knows what Sachin Tendulkar has achieved and means to cricket. Waqar is now retired, but Sachin continues to represent India on the field which is a testament to his longevity and love for the game. Even Miandad is proud of Tendulkar since he struggled to play two decades of cricket, while Tendulkar has revelled in doing so despite sometimes the ride being bumpy for him as well. Yet it was Pakistan which was able to use its strong bowling resources very well, proving clearly that bowlers win matches in cricket, irrespective of the format. It was always India’s batsmen vs. Pakistan’s bowlers but the batsmen struggled. The 1989 series was the last Test series between the two teams until 1999, once again because of a political rivalry between the two nations which robbed cricket fans of this riveting encounter often. But the teams clashed at times in Sharjah and other tournaments at neutral venues. In World Cup cricket, India has always beaten Pakistan in the five encounters between them so far, a famous fact indeed! In 1992, it was a group game at the Sydney Cricket Ground in Australia, which saw India win by 43 runs as the then young Sachin Tendulkar was named man of the match and of course the match would be remembered for Javed Miandad comically imitating Indian wicketkeeper batsman Kiran More for the manner of his celebration. This game however, did not matter much in the end as India were knocked out in the group stage itself whereas Imran Khan’s Pakistan made an impressive comeback in the competition, to go on and win it by beating England at the Melbourne Cricket Ground in the final. Four years later and the World Cup was back in the Indian subcontinent. In 1987, India and Pakistan could have met each other in a dream final in Kolkata but fans were compensated in the 1996 edition of the tournament to a certain extent as both the teams clashed in one of the quarterfinals in Bangalore. India won the game by 39 runs, following a calm 93 from Navjot Singh Sidhu. But there were memories from this game, as Indian fast bowler Ventakesh Prasad got the better of Pakistani opener Aamer Sohail, after he smashed him for two consecutive boundaries and that was followed by Prasad angrily showing him the pavilion since Sohail arrogantly told Prasad to take his boundaries in his stride. But the intensity of this clash was such that many fans in Pakistan committed suicide or were killed due to the madness of this defeat, which occurred mainly because of Wasim Akram, the then captain conspicuously absent from this game. Pakistan could not defend their World Cup title, while India made it to the semifinal, only to lose to the eventual champions Sri Lanka in Kolkata. The next time when these two teams clashed in a World Cup game was in Manchester in England in the Super Six stage of the 1999 edition of the championship. Incidentally, the Kargil War had its roots at the time so there was slight tension between both the countries again. India again won by 47 runs, as Ventakesh Prasad had another superb game against Pakistan and Rahul Dravid continued to have a fantastic tournament as he scored 61, despite the presence of Akram this time in the Pakistani side. But again this game could not save India, as they were knocked out in the Super Six stage itself while Pakistan managed to make it into the final, losing to Australia at the Home of Cricket, Lords. 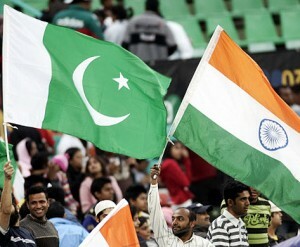 In 2003, India and Pakistan were to meet again, this time it was in a group game at the SuperSport Park in Centurion. Sachin Tendulkar had this game in mind for close to one year, which showed how much this clash meant to him and his team. No matter what, if India wins the World Cup or not, they had to beat Pakistan! This was their first meeting since the triangular ODI series in Australia in early 2000, and plus this being a virtual knockout match in a World Cup, the match had huge hype. India were on the way of regaining their form while Pakistan were inconsistent, which meant that both the sides had a lot to play for. For the first time, Pakistan batted first against India in a World Cup game and their batting performance was finally impressive, which ensured that India had to chase a mammoth total of 274 to win the match and advance to the Super Six stage. The team had never chased more than 227 runs in any World Cup game, so this was the biggest challenge for Sourav Ganguly and co.
Sachin Tendulkar made this game the most famous one between India and Pakistan in World Cup cricket, by smashing Shoaib Akhtar for 18 runs in the second over of the match. Akhtar and Tendulkar’s clash began from 1999, when the Rawalpindi Express clean bowled the Little Master in a Test match in Kolkata. This was just an extension of it, and even as Akhtar managed to get him out again, unfortunately for 98, Tendulkar had won the battle comfortably. India were in the driver’s seat since it took him only 75 balls to score those many runs. Rahul Dravid once again chipped in with a fifty but this time he played the role of a finisher alongside the talented Yuvraj Singh, as India won by 6 wickets and were back as one of the contenders to win the tournament. Pakistan as a result, were out of the tournament while India made it to the final, also losing to Australia in Johannesburg. Both the teams were surprisingly knocked out in the first round itself in the 2007 World Cup in the West Indies, which could not make them meet each other in the Super Eights stage. But they did clash in the recent 2011 World Cup in the semifinal in Mohali, which will be remembered for Pakistan missing out as many as seven times when it came to getting Tendulkar out, most of which involved dropped catches. Tendulkar proceeded to make 87, as India won by 29 runs and proceeded to play Sri Lanka in the final. India made history by winning the World Cup for the first time since 1983, and being the first team to win it on home soil. Whereas, Pakistan were proud to make it in the last four under Shahid Afridi, overcoming stiff competition from the likes of the defending champions Australia, England, South Africa and West Indies. But the two teams did clash in the epic 2007 World T20 final in Johannesburg, which saw MS Dhoni’s India win by a narrow 5 run margin. 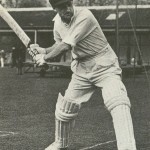 Gautam Gambhir perhaps played the innings of his life, scoring 75 to take India to a competitive total of 157, after India won the toss and decided to bat first. Misbah ul Haq could have singlehandedly won Pakistan the game from a stage where they were 77/6 after 11 overs or so, but the newcomer bowler Joginder Sharma held his nerve in the last over and Misbah was the last man to be dismissed, as he weirdly tried to scoop a good length ball over short fine leg but Sreesanth took an easy catch. This when he could have played any other shot, as Pakistan still had 4 balls to get the 6 winning runs. With that, India won the first ever T20 World Cup and it was two years later, that Pakistan would go to win the championship in England under Younis Khan’s captaincy. That was about the World Cups. In the ICC Champions Trophy, which will be scrapped from 2013 onwards to make way for the ICC Test championship, Pakistan have levelled by beating India in both the encounters. They did not play each other in 1998, 2002 and 2006. In 2004, Pakistan won by 2 wickets chasing down a mere 205 at the Rose Bowl in Southampton successfully as Mohammad Yousuf starred for Pakistan with the bat, while Irfan Pathan tried to trouble their batsmen with his then exceptional swing bowling. With this win, Pakistan made it to the last four of the tournament while India were knocked out in the first round itself despite being one of the favourites to win the competition. 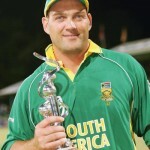 Whereas in 2009, both the teams played again in the group stage and the venue was once again Centurion. Memories of the 2003 World Cup game made this contest a huge one to look forward to, but there were no heroics from Sachin Tendulkar this time, who was dismissed for a single digit score by the now disgraced bowler Mohammad Amir. But Yousuf was again behind India’s misery as this time he came up with a hundred and so did Shoaib Malik, taking Pakistan’s total to above 300. Rahul Dravid kept India in the hunt with his 76, but his wicket meant that Pakistan ran away with the match by a huge 54 run margin. India were knocked out again in the first round, a déjà vu of 2004 while Pakistan made it to the semifinal, losing to New Zealand. India-Pakistan matches have always had some spice in them, even as both the teams have lost legendary players for whom the crowds used to throng in the stadiums to watch. There were bilateral series between the teams in Pakistan in early 2004 and 2006, in which India won both the Test and ODI series in 2004 and the ODI series in 2006. In India, Pakistan did well in 2005 by levelling the Test series and winning the ODI series but lost both Tests and ODIs in 2007. In the Asia Cup, India have got the better of Pakistan as they have won their last three matches in the competition, which include the years 2008, 2010 and 2012. But talking about playing in India, Pakistan is one of the few teams to have succeeded in the country since the conditions are very similar back home. India has always been nervous when playing Pakistan at home especially, and that could be an advantage for Misbah ul Haq and his men as they cross over the border around Christmas time. The terror attacks in Mumbai in November 2008 have once again strained India-Pakistan relations. The topic has become so sensitive that the last time Pakistan played a bilateral series with India, was in India in November 2007. Since then, they have always been involved in one off matches at world events or other tournaments. But recently the Pakistan Cricket Board and the Board of Control of Cricket in India have warmed up to each other, as Pakistan’s T20 champions Sialkot Stallions will be making their maiden appearance in the Champions League T20 in South Africa this year and in December, on the insistence of the BCCI, Pakistan will play a three match ODI series and a two match T20 series in India instead of a neutral venue. MSD or Misbah? Who will have the last laugh? India will have an unrelenting schedule, which will again add to Pakistan’s advantage. Although India would have already played England in limited over contests at home, the same team will play them in Test matches. So it is never easy to shift focus from one team to another and back to back matches might hint at Dhoni demanding a rotation of the team, which could mean that India again might not play their best XI in most of the matches. This could actually erode the true significance of an India-Pakistan match and so the timing of the series will continue to be a debate amongst many. 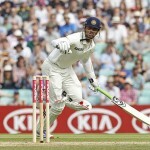 Pakistan have not got the better of India in recent times as Dhoni and co. have played better cricket on the day. Pakistan still fears India as an opponent, and psychologically it implies that the team will have to mentally ready to dominate their archrivals, like they used to do in the past. Whatever the debate may be about political and security issues, the players, the cricket loving public and cricket in general should not suffer. Hence, it is a healthy step from India board to ignore their past rivalry with Pakistan and hold matches in the country for boosting the game, which has suffered in the last year or so ironically after the World Cup victory. Wow, this should be a cracker of a series and may the best team end 2012 in style!